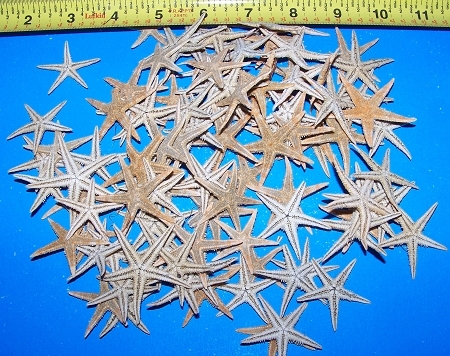 These starfish will measure around from and between and under 1 1/4" - 1 3/4" Real Dried Tan flat Starfish. Quality product, came as described, packaged well, crazy fast shipping,thx! 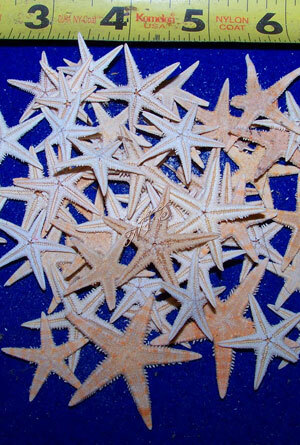 Nice starfish. Some came with missing points as expected and told would be. Thanks for all the extra. we use them with missing points or not in our candles.